This entry was posted in Uncategorized and tagged Albert Einstein, artist, author, cars, color symbolism, editing, ideas, knitting, lotus elise, lotus exige, notebook, Thomas Jefferson, writer, writing by trogers. Bookmark the permalink. I love the Elise so much I would even put up with the safety green if someone gave it to me. 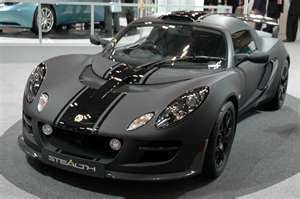 Though I would rather have the Exige Ronin or the Elise 340R… But I digress. Which I do a lot. Very nice post too. I have been reminding myself to get more sleep too. Between the day job using so much of my day, then trying to stay on the WIP until I feel I have accomplished something, I might get five hours of sleep. That’s too little. A person ends up missing the twilight completely. You fall more into a light coma, and when you wake, you actually have to rely of caffeine, adrenaline and sugar. Which does nothing to help the “waste” line. Besides that all of that sugar turns into alcohol in your system anyway and makes you lightly drunk all day. Great comment! Although it does make me realize my life is a tragic farce until I can own an Exige Ronin…to think, until your comment, I thought I was content only longing for the regular Exige. WHAT A FREAKISHLY BEAUTIFUL CAR! Laughing at the caffeine, adrenaline and sugar diet. I’ve been there. And you do miss the twilight! I have to add, no sleep makes me feel lightly drunk all day, too.